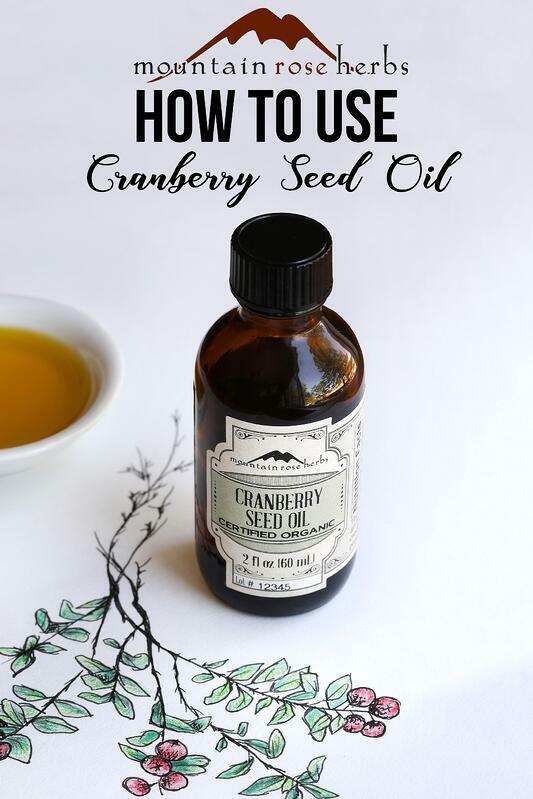 Cranberry seed oil is a newcomer to the world of carrier oils and it is gaining recognition as an exceptional oil for nutrition and natural cosmetics. 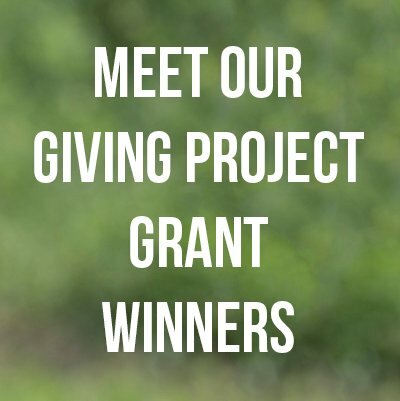 Previously, cranberry seeds were treated as the leftovers of cranberry fruit production, but in 1992, Bernard Lager developed a method to cold-press the oil from the tiny seeds of the tart berries. It takes approximately 31 pounds of cranberries to produce one half ounce of cranberry seed oil; that is a lot of cranberries! The cranberry species Vaccinium macrocarpon is native to the United States. Wild cranberries were a staple in the diet of Native Americans, and they were also commonly used in traditional herbal remedies and for dying textiles. In 1816, Henry Hall, a Revolutionary War veteran, was one of the first people in North America to successfully cultivate cranberries. Today, Vaccinium macrocarpon is grown in many different parts of the world. This fine oil is typically a golden to greenish-gold color, with a lightly fatty and sweet scent. 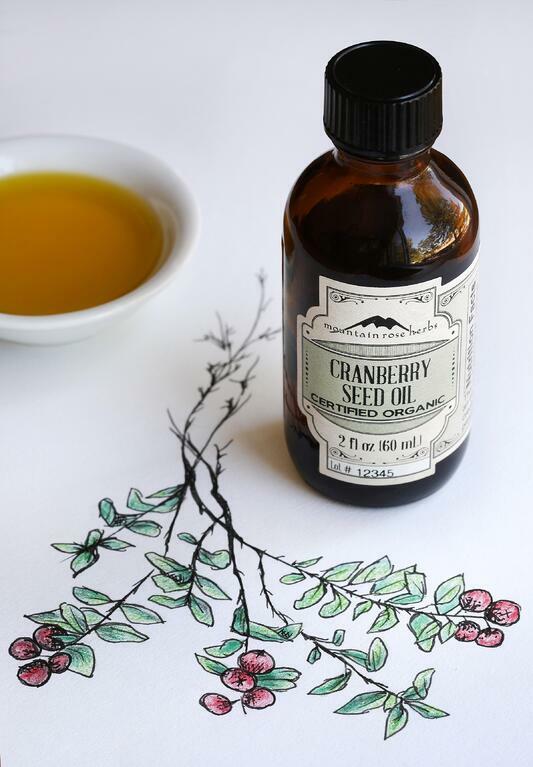 Cranberry seed oil is readily absorbed into the skin and does not leave you feeling greasy. One of the highlights of this oil is the excellent balance of naturally occurring omega-3 fatty acids. It is also a source of vitamins A and E.
Our certified organic cranberry seed oil is suitable for all skin types and will benefit those with mature or dry skin that craves extra moisture. This marvelous oil may be used in place of or in addition to other carrier oils such as argan oil, rosehip seed oil, or pomegranate seed oil. A little bit of this oil goes a long way, and it's right at home in any fine body care recipe for homemade serums, DIY skin creams, or natural hair care products. Want to learn more about carrier oils? Learn How to Use Carrier Oils in Aromatherapy!